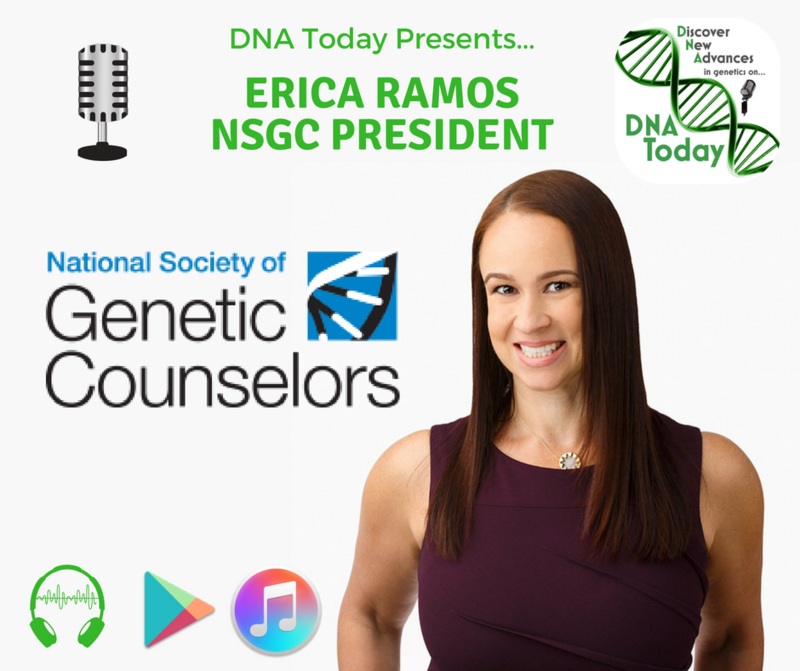 Erica Ramos is the 2018 President of the National Society of Genetic Counselors (NSGC). She builds products, programs and strategy in the genomics and genetic counseling arenas with expertise in rare disease and predictive genome sequencing. Erica is currently director and head of Clinical & Business Development for Geisinger National Precision Health. 94% of GCs who took part in NSGC’s 2018 professional status survey reported being satisfied with the profession. An average full-time GC earns a salary of $88,000 USD. There are over 4,600 certified GCs in North America, this is an increase of 95% compared to the number just 10 years ago in 2008. There are 43 accredited graduate level training programs in North America. Growth rate of the career between 2016-2026 is 29%, the average for all occupations is 7%. For updates from Erica Ramos, follow her on Twitter. And explore some of the resources above that NSGC provides the public. I highly suggest AboutGeneticCounselors.org for prospective genetic counselors. Stay tuned for the next new episode of DNA Today on October 5th, 2018. New episodes are released on the first and third Fridays of the month. Can’t wait? There are 89 other episodes to explore in the meantime.